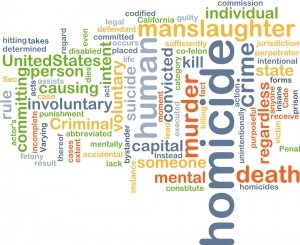 Violent crimes occur in every city and state, with Arizona being no exception. Arizona takes a harsh stance on violent crime, imposing lengthy sentences and massive fines and fees for violent offenders. Sadly, many innocent people are convicted of violent crimes each year and sometimes serve years in prison as a result of these wrongful convictions. Wrongful arrests and convictions can happen for a variety of reasons, including mistaken identity, tainted or false evidence, untruthful witnesses, poor police work, and ineffective defense against the charges. For any defendant convicted of this serious crime, the consequences can be life-changing. The dedicated criminal defense attorneys at AZ Criminal Defense Group, PLLC have a long track record of successfully defending clients against a variety of violent crime charges across the state of Arizona. Whether you face a misdemeanor or felony charge, the attorneys at AZ Criminal Defense Group, PLLC have the experience and resources necessary to fight these charges to the fullest. Our skilled attorney team is available 24 hours a day, seven days a week to assist in your defense. All violent offenses in the state of Arizona carry the possibility of severe penalties. A conviction for one of these offenses will often result in hefty fines along with jail or prison time. Most violent crimes prosecuted in Arizona will be felony offenses. As such, the consequences will be severe. This is especially true for anyone charged with using a deadly weapon or injuring another. Besides jail time and fines, violent crime offenders will face the consequences associated with a permanent criminal record. This record is accessible by school and work institutions, and can seriously limit a convicted offender’s educational and career prospects. In light of the severe impact of a violent crimes conviction, it is imperative for anyone facing this charge to secure the representation of a highly qualified defense attorney as soon as possible. The experienced Phoenix Criminal Defense Attorneys at AZ Criminal Defense Group, PLLC recognize the high stakes involved with any violent crime case. We know that your freedom, career, personal life, and future hang in the balance when you are charged with a crime of this magnitude. If you are accused of a violent crime, you need a seasoned criminal defense attorney on your side to protect your legal rights and look out for your best interests every step of the way. The criminal defense attorneys at AZ Criminal Defense Group, PLLC are dedicated to ensuring each and every client receives the strongest possible defense. Our skilled criminal defense lawyers are available 24 hours a day, seven days a week to assist with your violent crime case. When you call our office, you will always speak directly to an attorney who can immediately begin arranging your perfect defense.